NAHB analysis of Census construction spending data shows that total private residential construction spending for December increased to a seasonally adjusted annual rate of $430 billion. On a month-over-month basis, private single-family spending was $231 billion, up by 1% over the revised November estimate. Private multifamily spending also increased to $53 billion, up by 2.66%. 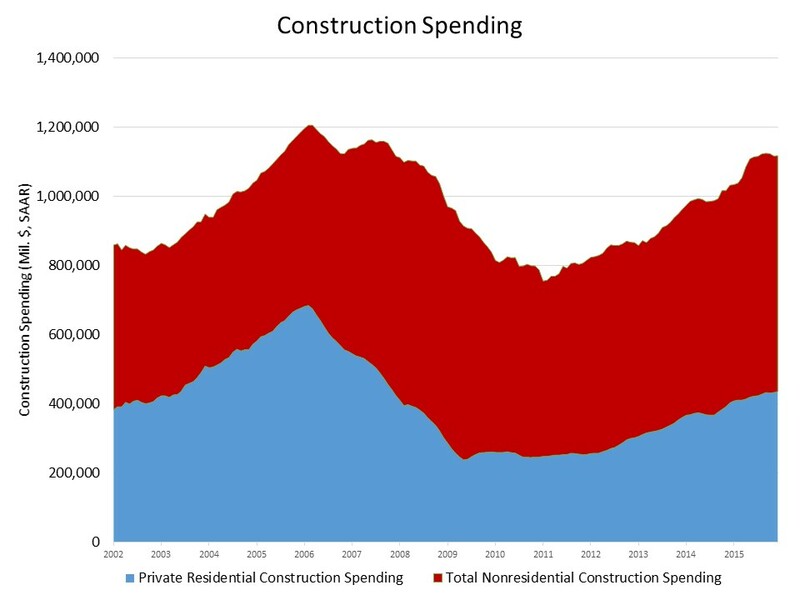 Over the same period, private construction spending on home improvements increased 0.12%. Annually, the pace of multifamily is up 12% from the November 2014 estimate, and spending on single-family construction was 9% higher. Over the same period private construction spending on home improvements increased 5.9%. (Please see this analysis of recent data revisions for this series). 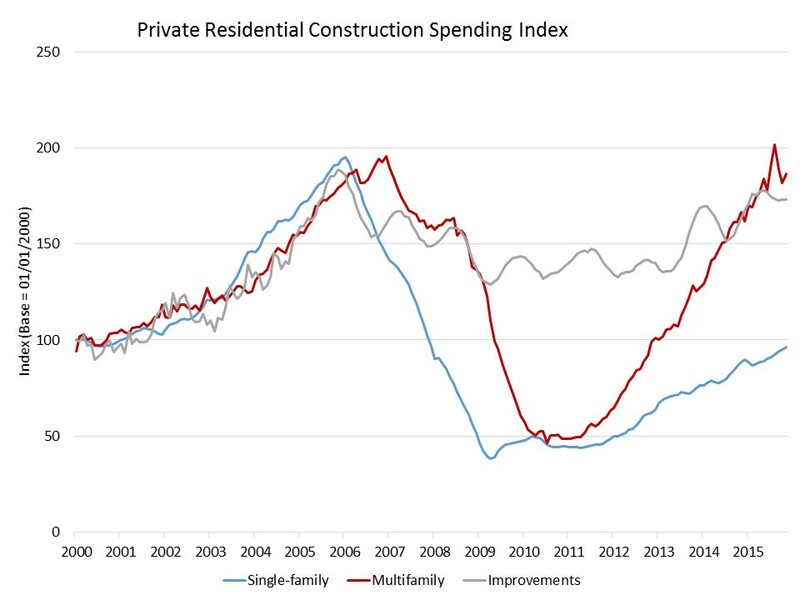 The NAHB-constructed spending index, which is shown in the graph below (the base is January 2000) indicates that recent gains have been driven by the steady increase in multifamily construction spending. The pace of the multifamily spending is gradually slowing. NAHB anticipates accelerating growth for single-family spending in 2015. The pace of total nonresidential construction spending was down by 0.4% on a monthly basis in December, but it posted an annual increase from the revised December 2014 estimate of 8%. The largest contribution to this year-over-year gain was made by the class of manufacturing-related construction (45% increase), followed by lodging (31% increase) and Amusement and Recreation (24% increase).